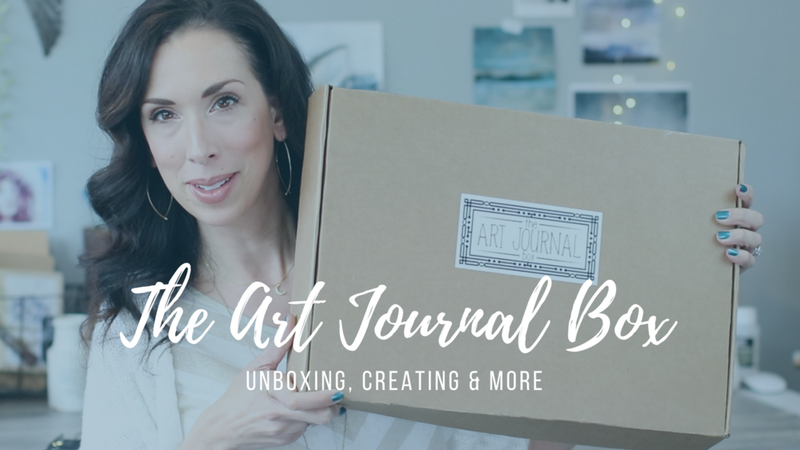 I’ve created this special, free lesson for my subscribers because a fellow art friend-Barb Nicholson was kind enough to send me her awesome Art Journal Box Kit! She invited me to play with all the goodies inside!! How could I say no to that? 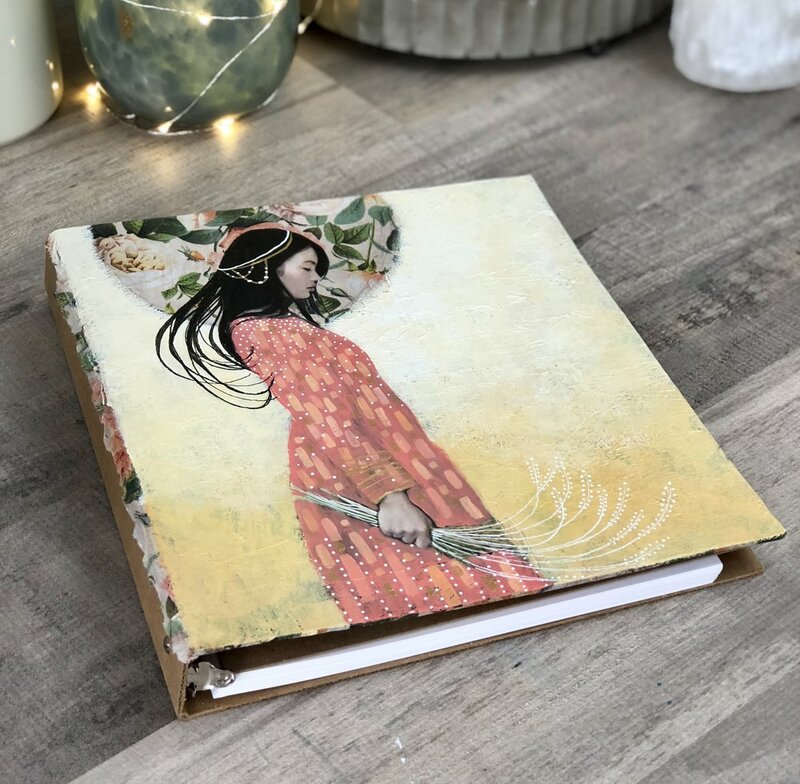 Sooo...you know me....I went all out and created an extensive video tutorial on how I adorned the cover of my nifty new journal! I decided a fun, mixed media collage would be just the thing and for extra art history goodness, I would be inspired by Gustav Klimt. So here we go...come create with me! First of all, here is the copyright free image I used for my muse. I got her from Unsplash.com - you can go here to check out my curated gallery. You can download this image here. Of course, feel free to draw your own image or use a different photograph that resonates with you. I chose to collage her on...cuz well...I really dig collage and I haven't done it in ages! You will also see me mention an app I use on my phone to play with my compositions digitally. It is called Procreate and you can get it here for iOS devices. Thank you so much for joining me for this tutorial! If you enjoyed this free tutorial, I invite you to join our amazing creative community! Enter your email address below to receive access to my FREE mixed media art lessons and upcoming classes! Plus 30% OFF your first class!